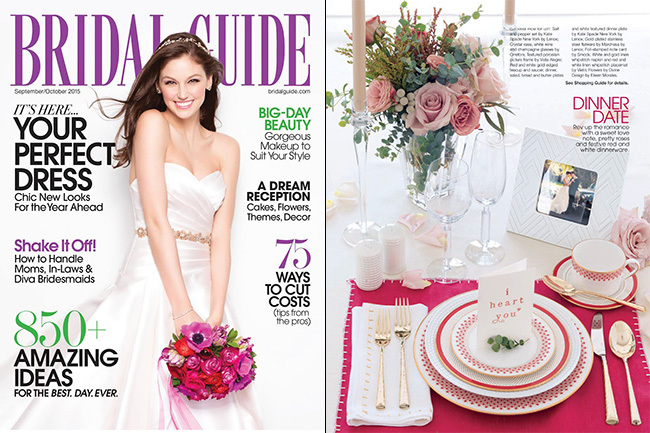 We love the “dinner date” that Bridal Guide magazine put together featuring our rose gold foil stamped I Heart You card! The at home date night guide was featured in the September / October 2015 issue, and included pretty florals, festive red and white dinnerware, gold flatware and a love note on our card. 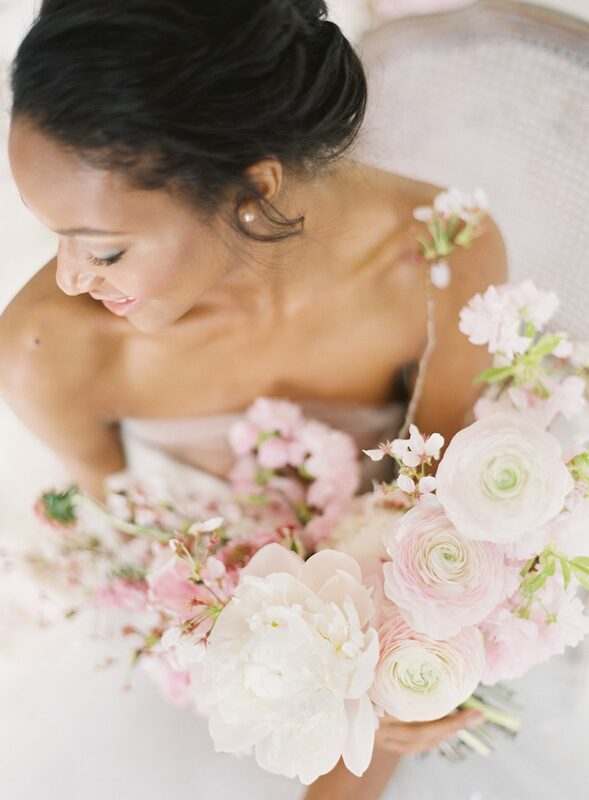 Thanks to Bridal Guide for including us in such a sweet feature! 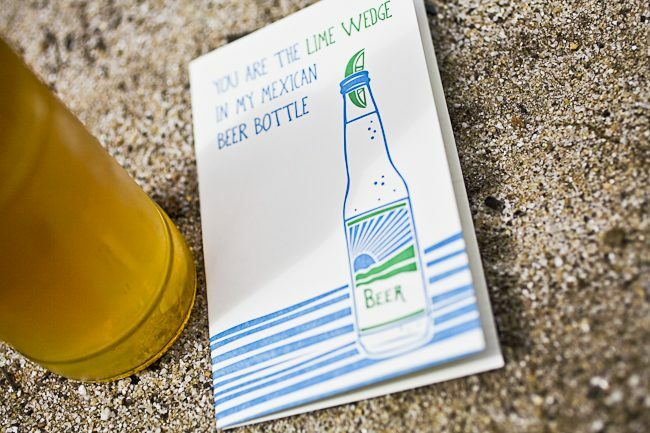 February 14 is right around the corner — have you gotten that special someone a Valentine’s Day card yet? 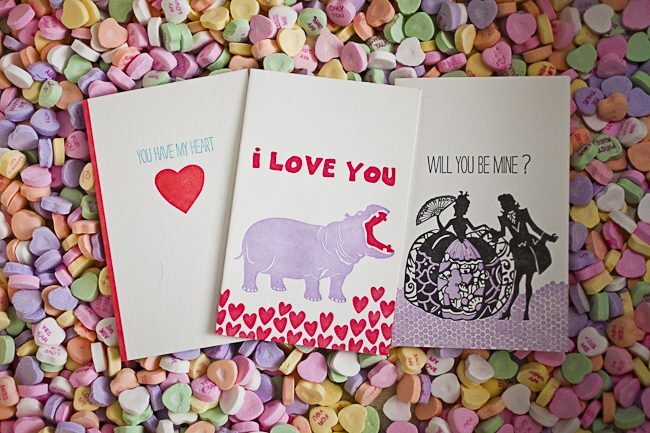 Here are a few of our favorite new letterpress love cards! 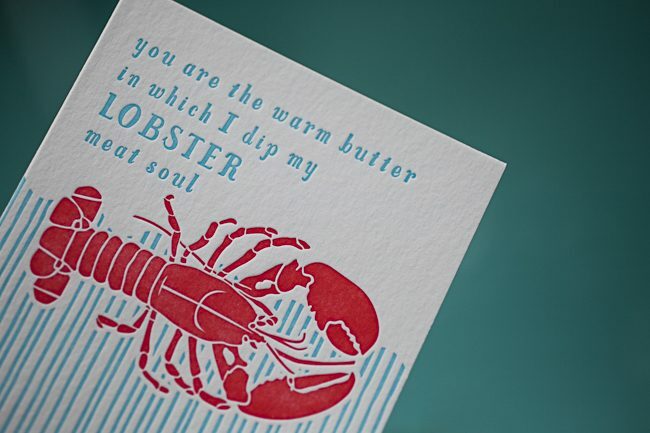 Have a lovely (letterpress) Valentine’s Day! 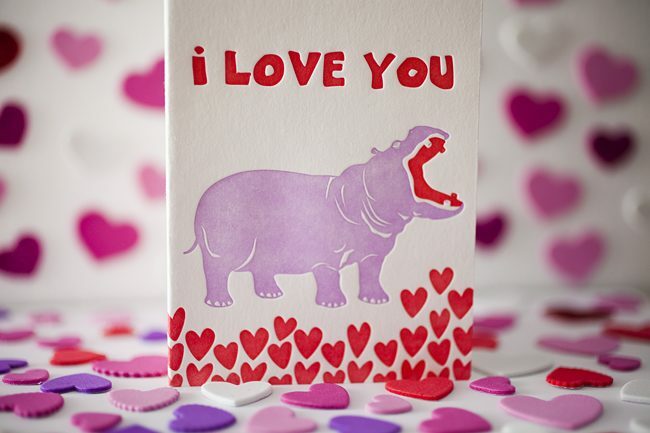 To all of our fantastic letterpress customers and fans — Happy Valentine’s Day from Smock! We love you all and hope your hearts are happy and full of love on this very special day. 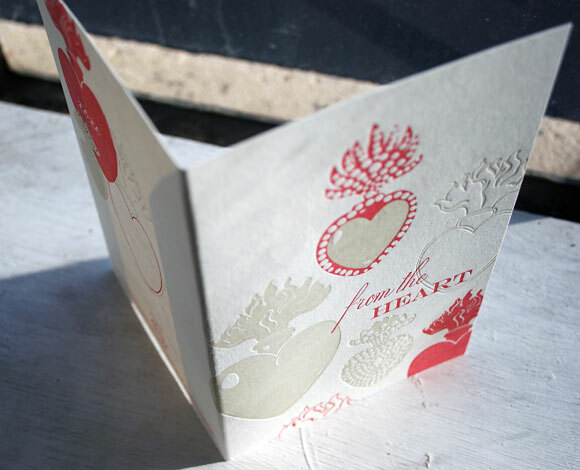 Did you get your sweetheart a letterpress love card from Smock? Here are some of our favorites for this year! 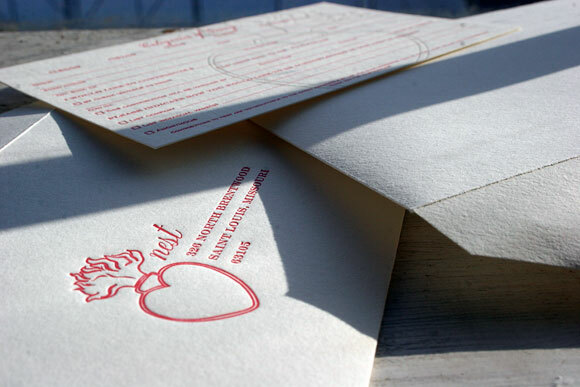 Smock donates letterpress printing to the Nest, a cool nonprofit – lovely letterpress love cards! We’ve been fans of the Nest for awhile — they’re a great nonprofit who gives micro-credit loans to women artists in developing countries, and they’re funded by products sold on their web site. And we love to donate our letterpress printing and design to causes we believe in. So we were thrilled to design and print (pro bono) these lovely letterpress cards, to help the Nest with their donation campaign (the design is based on one of our new letterpress greeting cards). 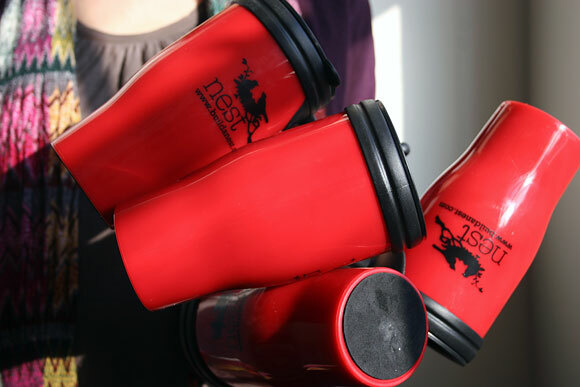 The Nest very sweetly sent us these cool travel mugs – one for every person in our print shop. The red color makes up so happy while sipping our herbal tea (or, okay, we sip coffee in them too). Read about another pro bono letterpress printing project that we donated to the Amazon Conservation Fund. And learn more about the Nest and the good that they do here.